What makes a Mindful Strength Kettlebell class different from 99% of other fitness classes? Most fitness classes are oxymoronic (read more here), they don’t really help you move towards your goal. The clear truth of the matter is that once you can move well, pain-free and with a degree of strength you are a lot closer to your goal. That can be that to look better, run a 10K, complete a Tough Mudder without any help or even just get on the floor and play with your grandchildren. 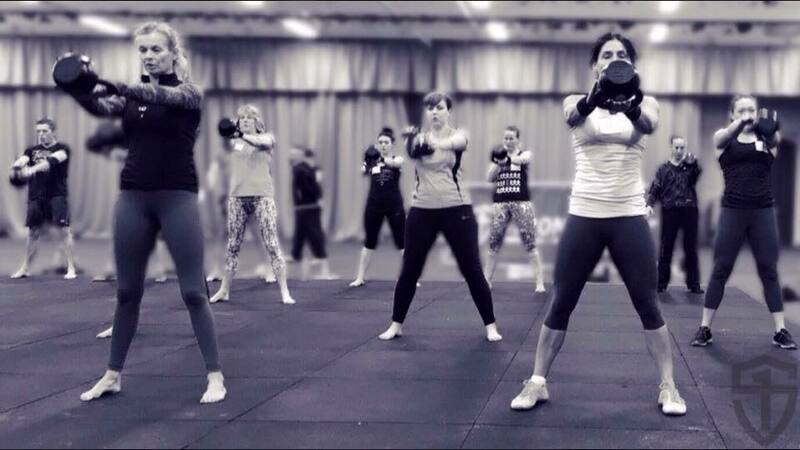 Our kettlebell classes are essentially small group personal training. You pay a monthly fee, you attend three classes a week and we give you homework for a fourth session in your own time (at home or in the gym). It doesn’t matter if you don’t have a gym membership or kettlebells at home, our programs include bodyweight training and we can plan specifically to your needs. The classes are limited to eight students to one coach, we train as a group and we lift one another to a higher level. The class isn’t a ‘turn up and turn into a sweaty mess’, it’s planned out over a four, six or eight week period (depending on which class) with realistic fitness standards to achieve on the way. http://mindfulstrength.co.uk/wp-content/uploads/2015/06/cropped-MindfulStrength-Colour-web-large-40-pecent-300x143.jpg 0 0 admin http://mindfulstrength.co.uk/wp-content/uploads/2015/06/cropped-MindfulStrength-Colour-web-large-40-pecent-300x143.jpg admin2017-04-25 19:34:282017-04-25 19:34:28What makes a Mindful Kettlebell class different? I’m fortunate. Somehow I’ve managed to become a member of a community that strives for excellence. A group that realise that being ‘strong’ and being ‘smart’ are not two diametrically opposed concepts. 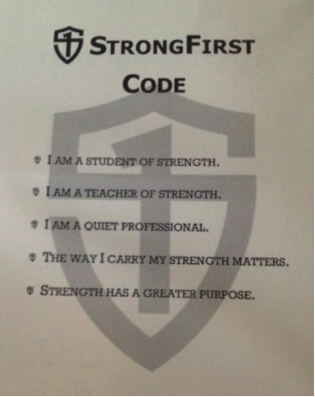 Case in point I recently attended my second StrongFirst Lifters (SFL) certification. The SFL is the brain child of Pavel Tsatsouline and Dr Michael Hartle. Pavel, the Evil Russian, is of course the man who is credited as bringing the kettlebell into the mainstream of Western fitness culture. Though people who have read Pavel’s work over the last 15 or more years will realise that he is more than just ‘kettlebell guy’. His first published works being books on stretching/movement and using barbells to become hideously strong. The organisations that govern the professions of Medicine, Engineering, Teaching, Accountancy, etc, require that to call yourself things like Doctor, Chartered Engineer/Accountant, Teacher, etc, that you complete a certain amount of Continuing Professional Education (CPD) every two years. The fitness industry is lacking in that regard. A lot of trainers get a qualification and never do any further education than wikipedia college or youtube university. Yes, but there are a few things to consider here. 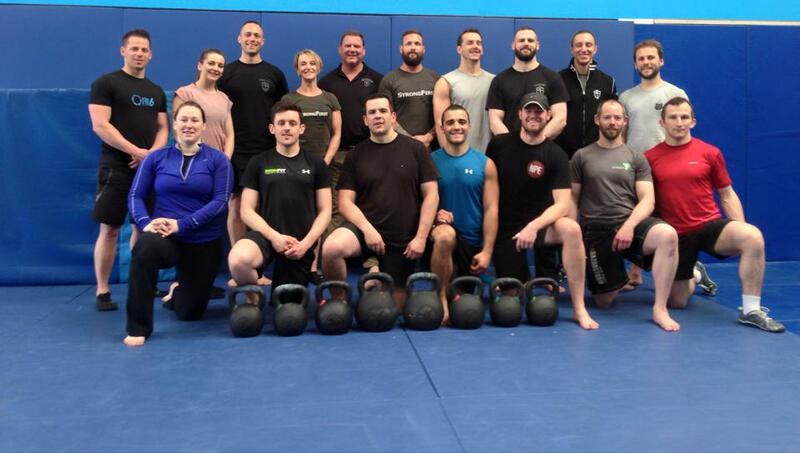 On the weekend of May 8-10, I had the privilege to attend the StrongFirst Girya Level 2 instructor certification in Chelmsford, taught by than none other than Master SFG Dan John. This was a biggie for me, as I’ve read Dan’s work since the early 2000’s via his articles on T-Nation and bought his books and dvds since around 2009, but had never met him in person. The saying goes that you should never meet your heroes as you’ll only be disappointed. 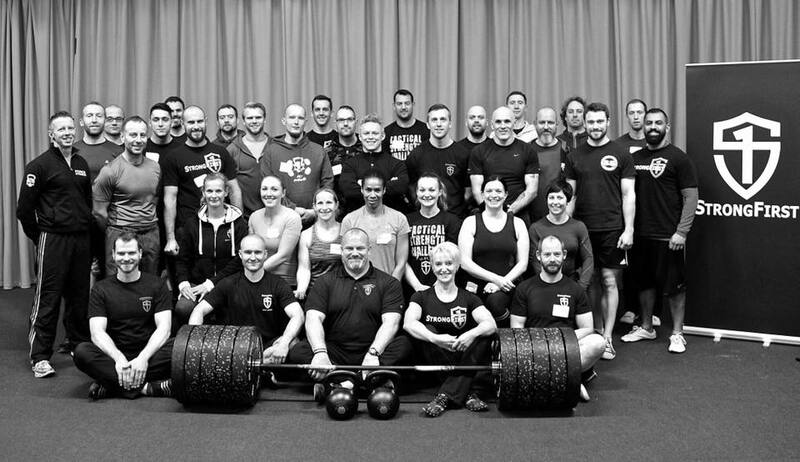 His work forms a large part of my personal philosophy of training, teaching and coaching. Dan is a world class Coach, highly sought after by many organisations and is a US record holder in discus, highland games and olympic weightlifting. So not just a ‘talking’ Coach, but an athlete as well.